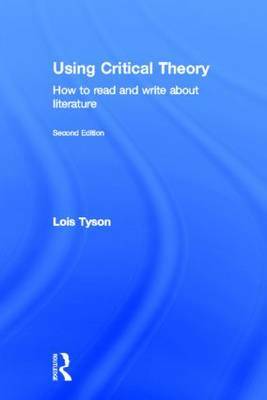 Explaining both why theory is important and how to use it, Lois Tyson introduces beginning students of literature to this often daunting area in a friendly and approachable style. The new edition of this textbook is clearly structured with chapters based on major theories that students are expected to cover in their studies. a useful "next step" appendix that suggests additional literary titles for extra practice. Comprehensive, easy to use, and fully updated throughout, Using Critical Theory is the ideal first step for students beginning degrees in literature, composition and cultural studies.